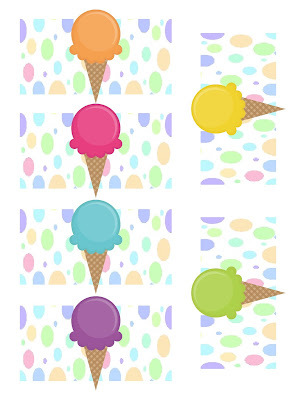 Stay cool this summer by throwing an ice cream party for the neighborhood, for your friends, or just for the kids! 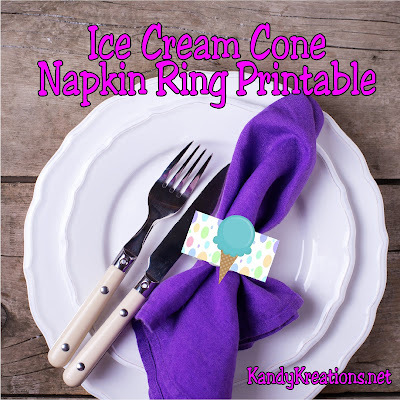 This super cute and easy ice cream napkin holder will keep all the party utensils together with a cute flair that will get the party hopping. With temperatures a little out of control all over the country, and summer just starting, I don't know about you, but I'm seriously ready for some ice cream! The thought of throwing an ice cream bash has my heart going pitter patter and my heat index level plummeting. So in case you are looking for a fun way to cool off this summer, throwing an ice cream party is a great way to go. This set of napkin ring printables is the perfect addition to the fun. 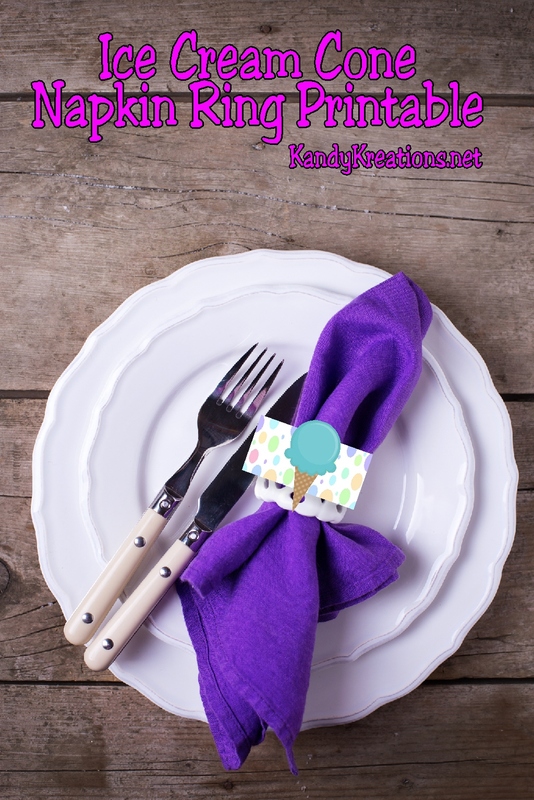 You can wrap your silverware or napkins up in this 2x4 inch printable ring with 6 different designs so you kids don't have to fight over the same one. Simply right click and save the picture above. Then print out on to cardstock and cut out each napkin ring Wrap them around your napkins and gather the ice cream for some fun. Quick, easy, and super cute.